I wanted to make something different for Valentine’s Day. 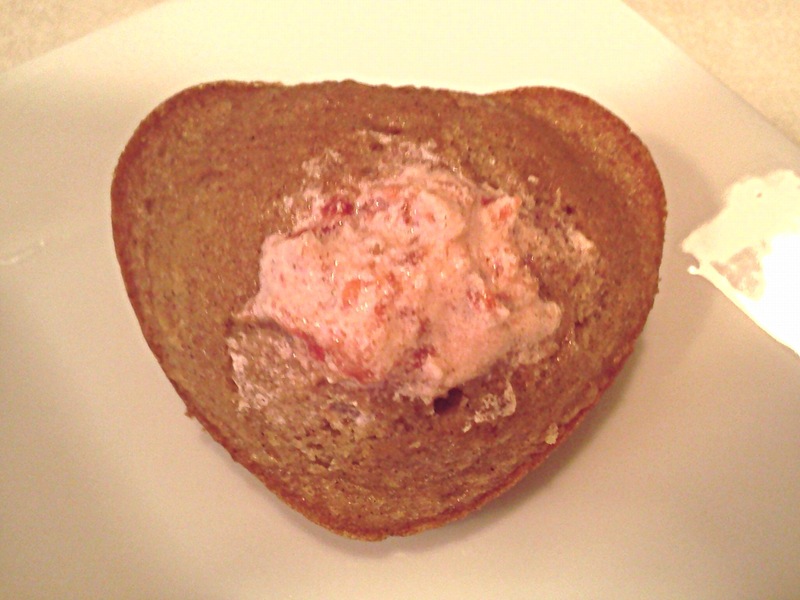 So, I read a recipe for stuffed cherry cupcakes last week and got an idea. 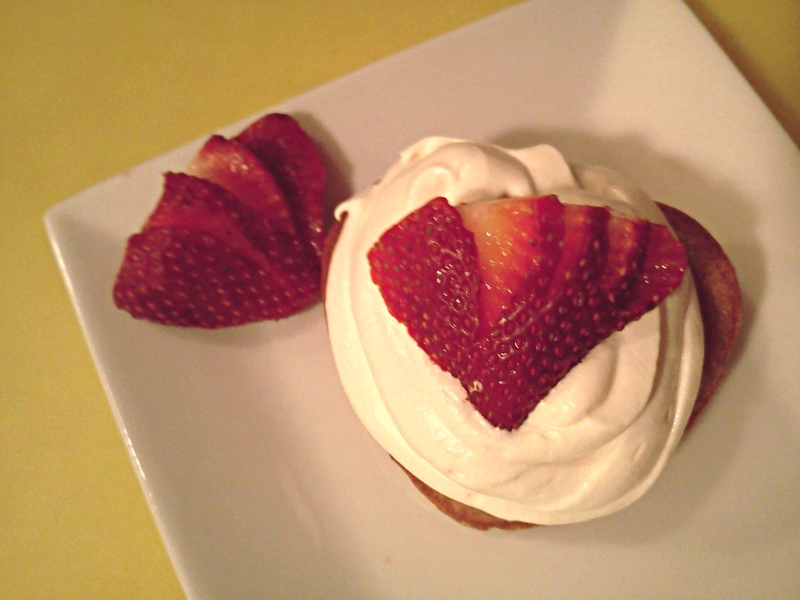 I would create my own recipe using strawberry-filled cupcakes. 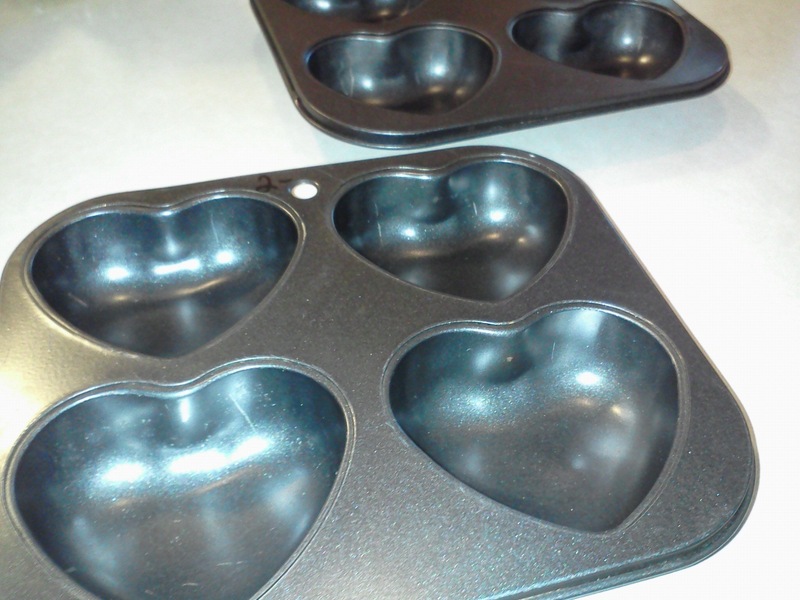 When I looked for my cupcake pan, I found my heart-shaped mini-cake tins I picked up at a thrift store last year. So, I couldn’t wait to fill them. I haven’t written the recipe yet, but these are yummy. 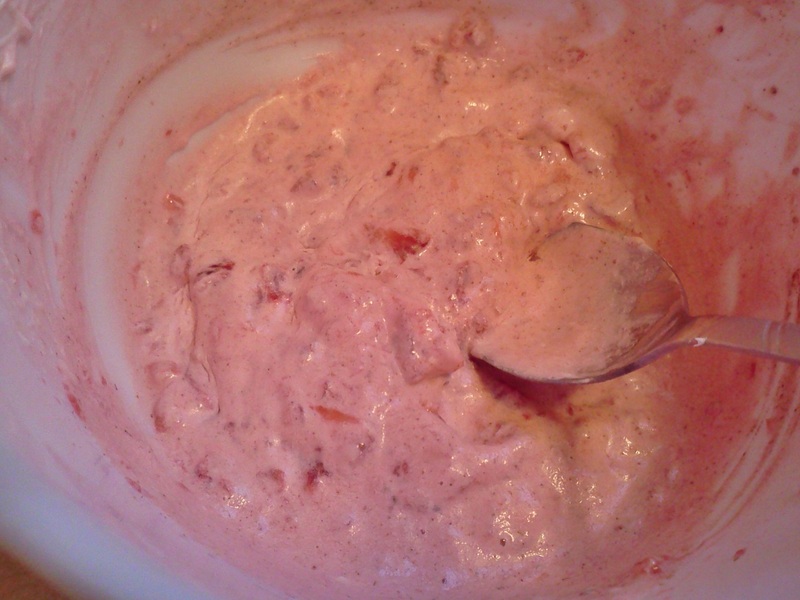 So, I’ll include recipe as soon as I can. 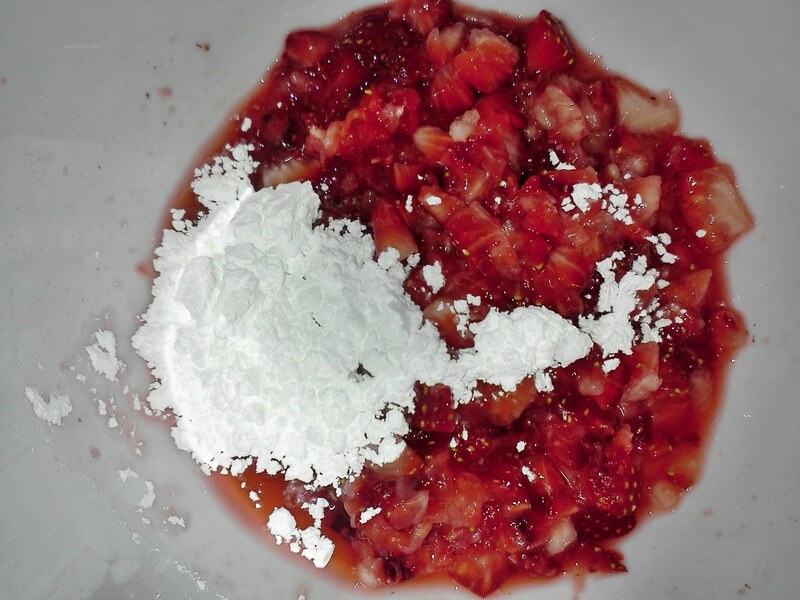 Until then, here’s a photo journal of making these scrumptious strawberry-filled wonders. Oh, and I’m not much of a cake or cupcake decorator, so you guys will have fun decorating yours and I’m sure they’ll look better than mine did. Enjoy! 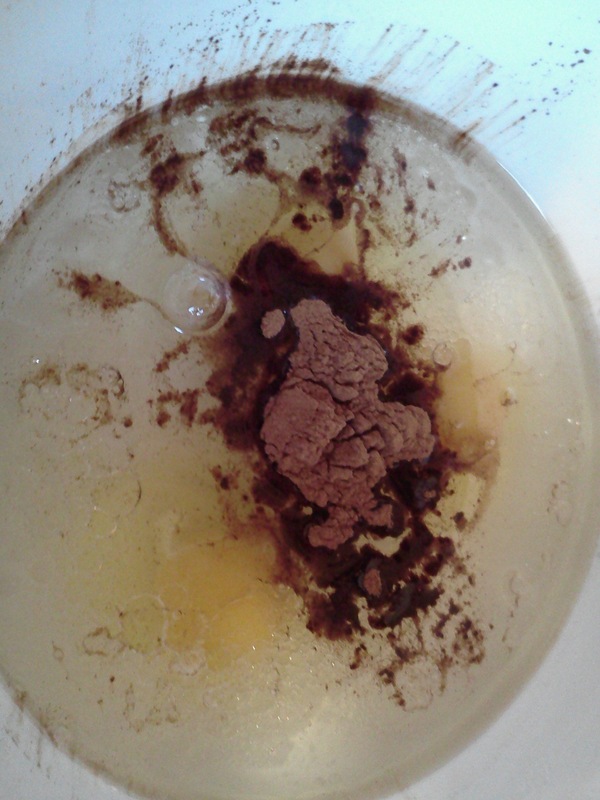 Combine eggs, oil and water, per cakemix box and add a tablespoon of cinnamon (This changes everything. Such a great flavor addition). 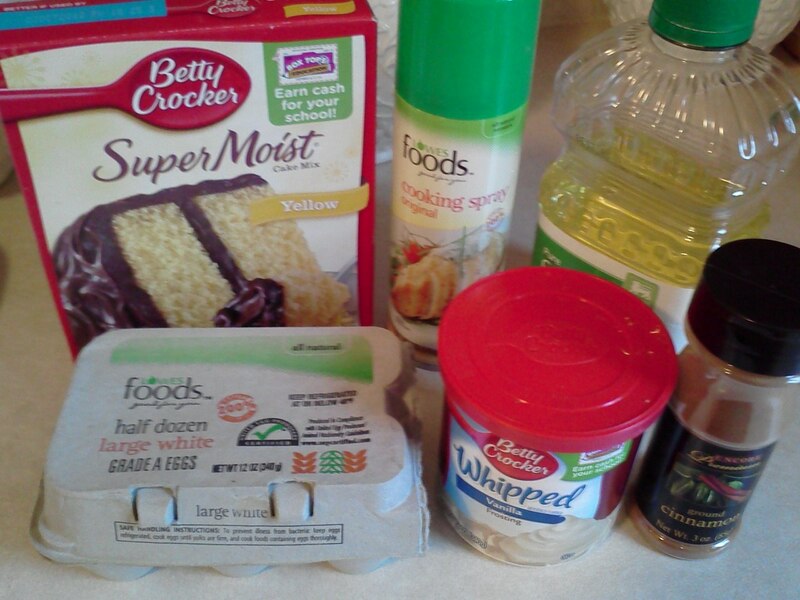 Mix and add in the cakemix. 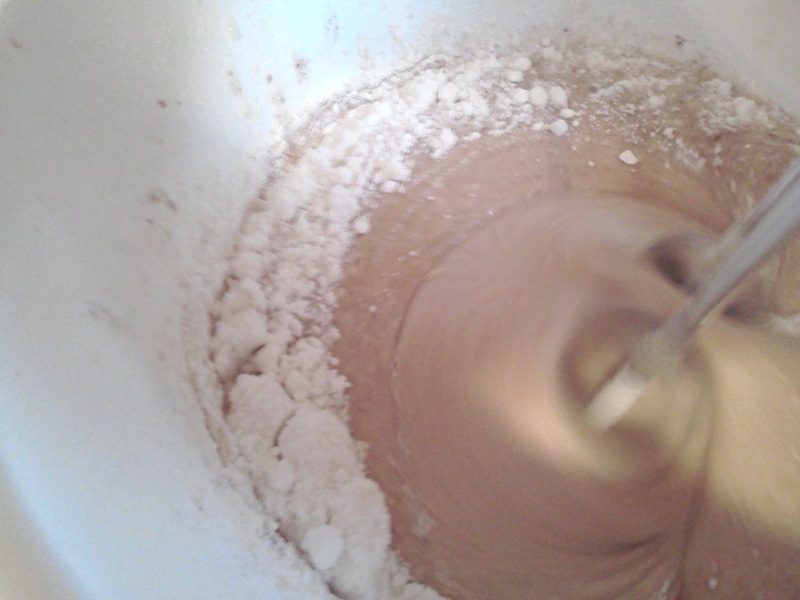 Mix again until blended. 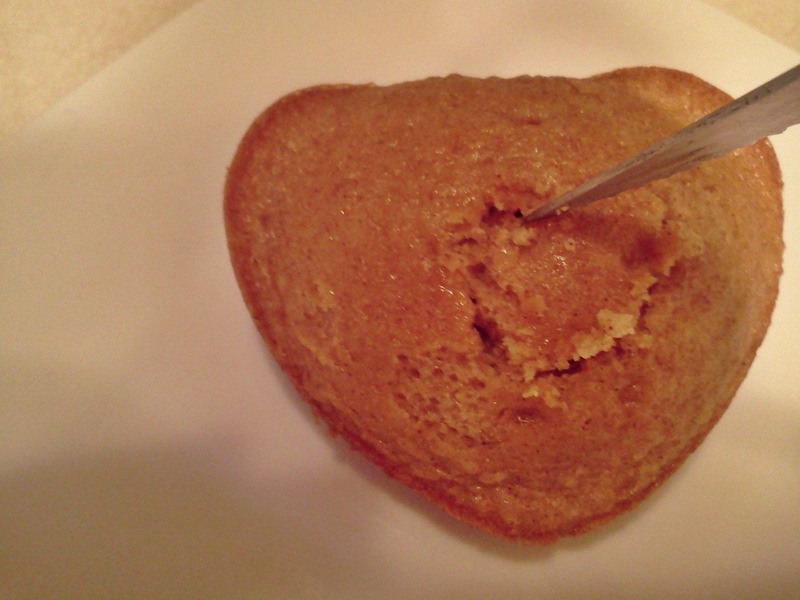 Spoon into heart-shaped tins until cups are three-quarters full. Bake at 325 degrees F for 12 to 14 minutes. 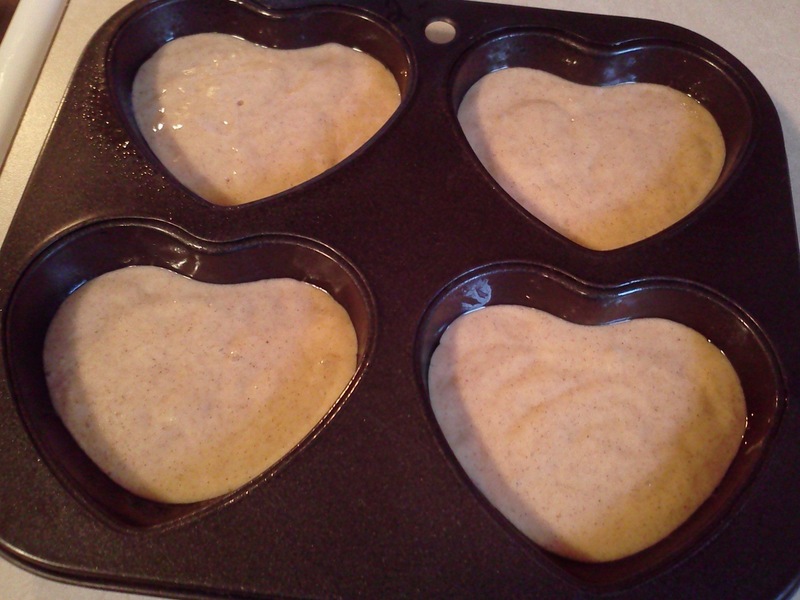 I thought these came out looking like hearts with big tummies! 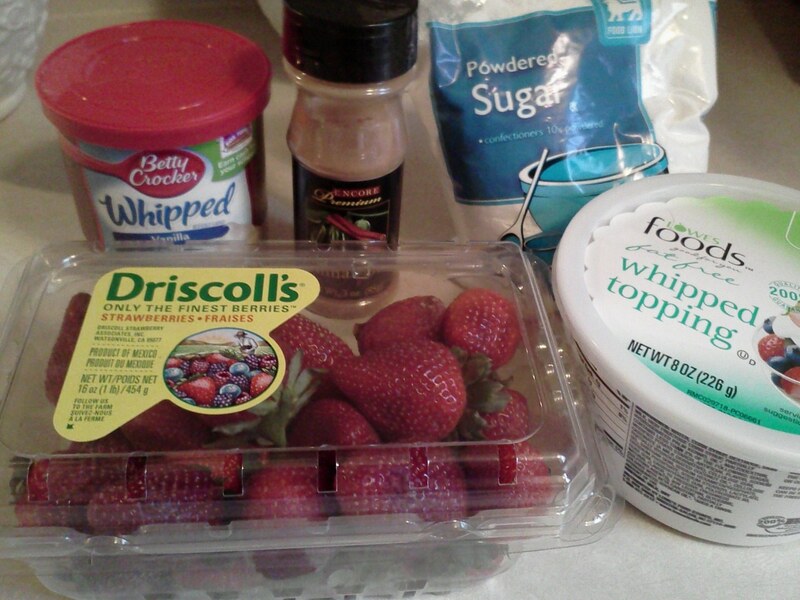 Create the filling by combing finely chopped strawberries, powdered sugar, vanilla frosting and cinnamon. 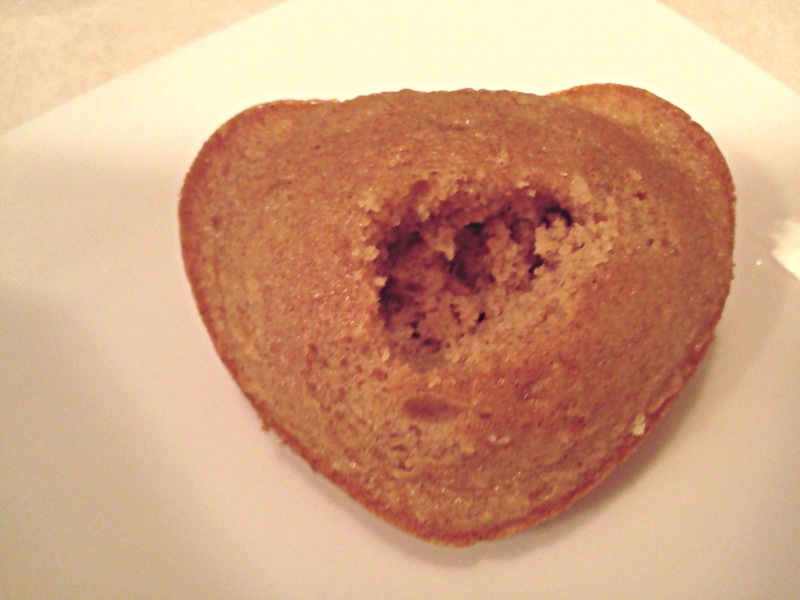 Cool cakes and then remove from the tins and create a hole in each center of the heart-shaped mini-cakes. Spoon filling into center holes in the hearts. 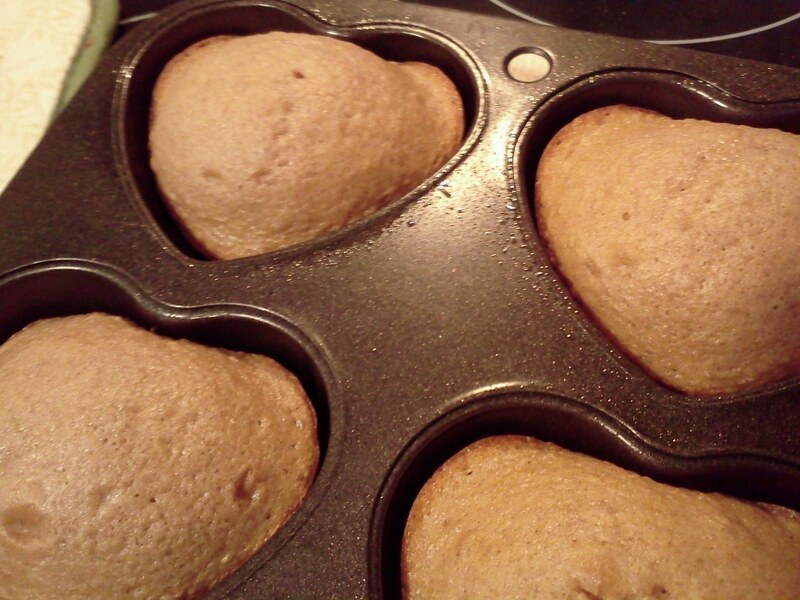 Doesn’t matter how messy, you’re going to frost these with frosting anyway. 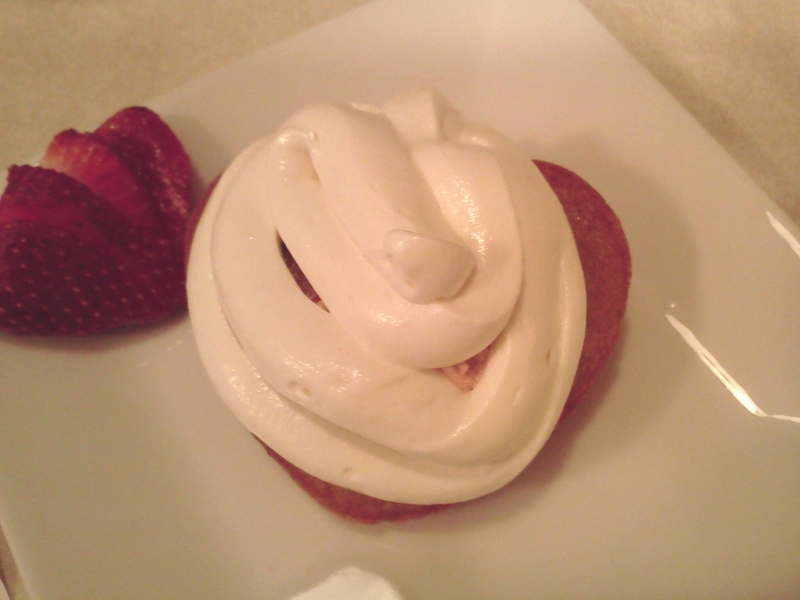 Create frosting by whisking remaining vanilla frosting and whipped cream. You can always make ahead and place into refrigerator to set a little. Spoon into either a piping bag or a plastic sandwich baggie with an end cut off (of which I did). Then pipe onto the mini-cakes. This entry was posted in Breakfast, cakes, cream cheese, Desserts, Eggs, Fruit, Pastries/Breads/Muffins, Snacks, strawberries, Uncategorized and tagged Baked, Baked Goods, Baking and Confections, Cake, cooking, Cupcake, dessert, Desserts, frosted, heart-shaped, holiday, Holiday Cookies, holiday treats, Home, mini-cakes, Spreads and Fillings, strawberries, Strawberry Shortcake, treats, Valentine, Valentine Day, Valentines Day, vanilla frosting. Bookmark the permalink.